On May 20th, 1935, T. J. McVey walked the grounds of CCC Camp Roosevelt on the banks of Turkey Creek in Ohio's Shawnee State Forest. McVey worked for the Inspections Division of the CCC and his "Camp Report," can be found in the National Archives in Maryland. The barracks of Camp Roosevelt were once located in the open field, across from the entrance of Boy Scout Camp Oyo. 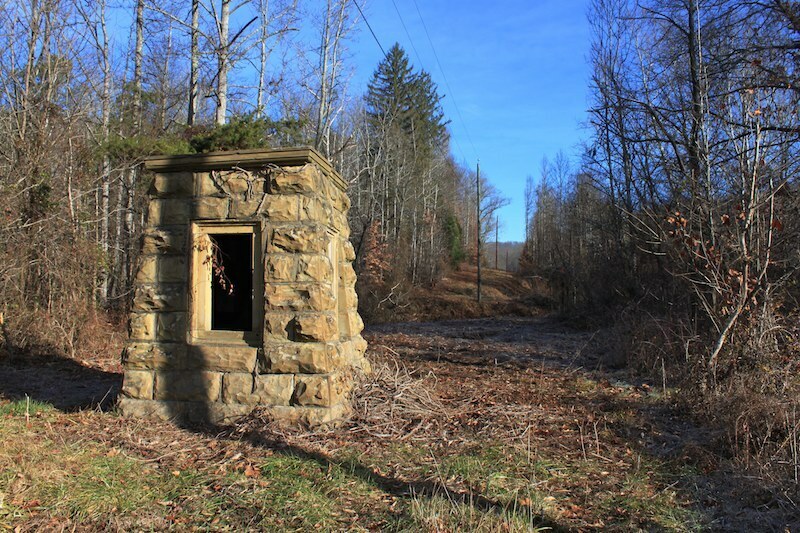 Little remains of the old CCC camp, except a stone memorial structure, built by the CCC to house the bronze dedication plate for the original Roosevelt Game Preserve, the precursor of Shawnee State Park. Today the plate is on display in a new stone memorial, located near the Roosevelt Shelter House and the Shawnee State Park Campgrounds. Camp Roosevelt was the home of Company 1545, a special and extremely rare, segregated, all-black Civilian Conservation Corps unit of enrollees. Their historical significance should be especially noted as the unit, some 220 enrollees, was also made up of all World War I veterans. During the life of this Depression Era conservation jobs program (part of Franklin Delano Roosevelt’s New Deal), over 3 million men enrolled in the CCC, including some 250,000 African-Americans, who were placed in one of the 150 segregated, all-black companies. Camp Roosevelt was one of four segregated camps in the Shawnee Forest, which at one time or another in the 1930s had a total of seven camps. At the time of McVey’s inspection in 1935, Otto C. Schmidt served as company commander, while C. A. Hermann is listed as "Project Supervisor." The Camp Doctor, L .R. Markey, reported that the "general health of the men has been good, average gain in weight per man has been 6 to 7 lbs." It appears the men of Company 1545 were hungry when they enlisted and were well fed while they worked on constructing the Roosevelt Lake Spillway Bridge and Dam. As for camp recreational activities, McVey listed: Radio, piano, pool tables, checkers, dominoes, playing cards, chess, boxing gloves, baseball, basketball, volleyball, softball, and horse shoes. Additionally, "enrollees are taken to Portsmouth twice weekly for Recreation." McVey claimed that "50% of the company attend religious services," which “are held at camp every Sunday morning by Assistant educational advisor [Oscar Rhine] who is an ordained minister.” “Catholics,” he reported, “are transported to Portsmouth by truck where they can attend church services." Camp officers apparently monitored enrollee mail, as McVey noted, "No communistic literature has been received at this camp." McVey recorded that there were "no bed bugs or other vermin at this camp" and the morale of "the men while in the field" was good. "The enrollees all seem to be satisfied. No complaints." Camp Roosevelt passed McVey’s inspection and received a rating of "Excellent." 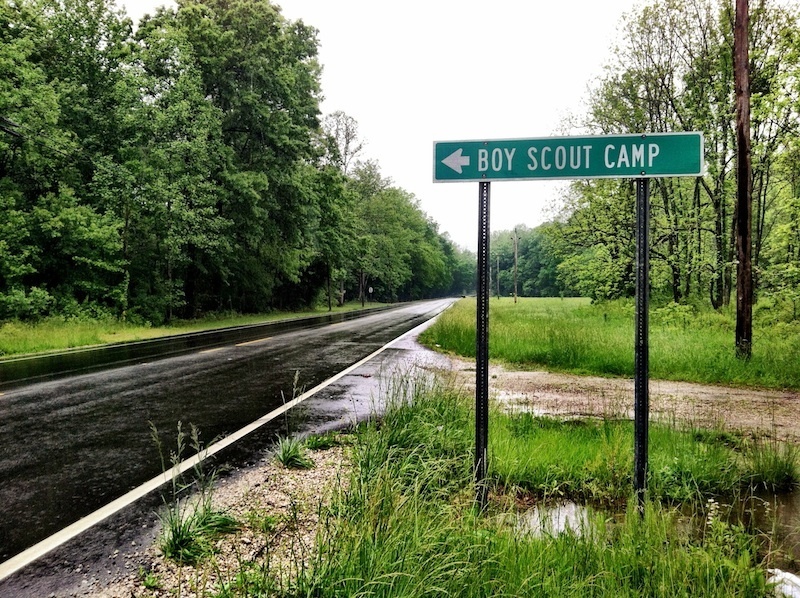 Location of CCC Camp Roosevelt, near the entrance to Boy Scout Camp Oyo, Shawnee State Forest, Scioto County, Ohio (2012). : Image courtesy of Andrew Lee Feight, Ph.D., from the Scioto Historical Series, private collection, Friendship, Ohio. 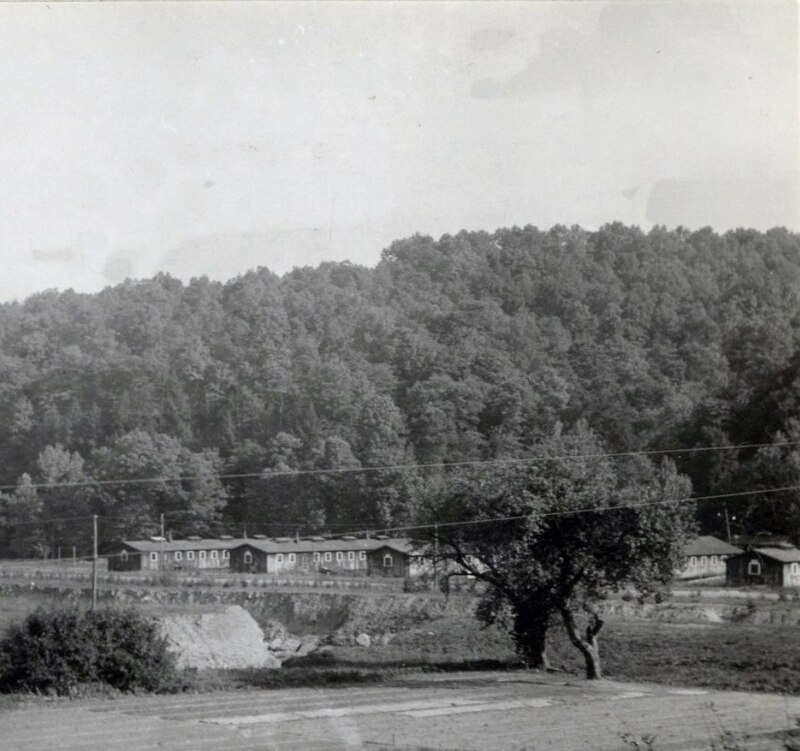 View of CCC Camp Roosevelt, home of Co. 1545, on Turkey Creek, Shawnee State Forest, Scioto County, Ohio (c.1934). 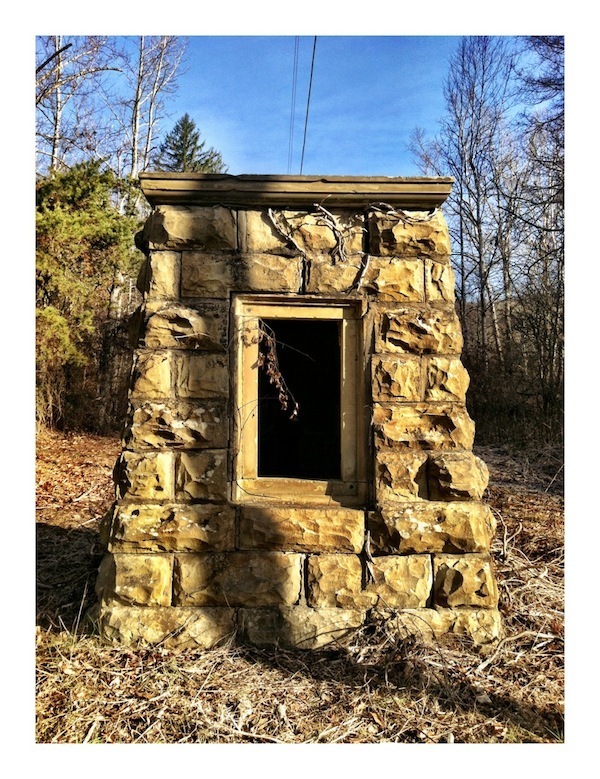 : CCC Camp Roosevellt was the home of Co. 1545, a special all-black, all-World War I veterans unit, which built the Shawnee State Park's Roosevelt Lake Dam and Spillway Bridge (c. 1934). Photo credit: Floyd Chapman, "The Development and Utilization of the Wildlife Resources of Unglaciated Ohio," Ohio State University, Ph.D. Dissertation, 1938. Roosevelt Preserve Memorial, built c. 1934 by the Civilian Conservation Corps, Shawnee State Forest, Scioto County, Ohio (2012). : Image courtesy of Andrew Lee Feight, Ph.D., from the Scioto Historical Series, private collection, Friendship, Ohio. Andrew Lee Feight, Ph.D., “CCC Co. 1545 & Camp Roosevelt,” Scioto Historical, accessed April 24, 2019, https://sciotohistorical.org/items/show/21.